“Soaring high is my nature”, this is the slogan of my school which I used to proudly tell my friends and relatives. I would always take pride in it and I still do. This slogan sits smug on the colorful and wonderful Desert Kite festival of Jodhpur. 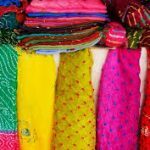 Fairs and Festivals are inherently woven into the colorful fabric of the rich culture of Rajasthan. After a delicious breakfast I was all set to fly on the wings of entertainment in the wonderful Desert Kite festival of Jodhpur. It is one of the most famous festivals of the city which attracts scores of tourists and locals from far and wide. Youth takes the lead and make the festival a memorable event. As I reached the Polo Ground, the venue of the festival, my senses were greeted with the sights of several kites flying high in the sky. Oh! It was so overwhelming to see the colorful kites fashioned into wonderful designs. The sight reminded me of a quote which I cherish a lot.“Throw your dreams into space like a kite, and you do not know what it will bring back, a new life, a new friend, a new love, a new country.” My sincere apology to the author of this quote as I don’t remember his name. This festival is truly uplifting as it unfolds many different meanings to many different people. 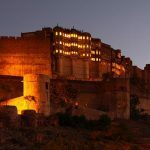 The kite festival is celebrated with great fervor on the occasion of Makar Sankranti in Jodhpur. 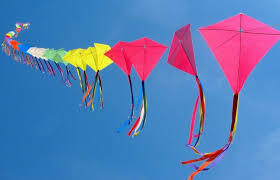 Makar Sankranti marks the end of winters and beginning of Spring bringing people great joy. 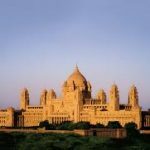 Stretching for 3 days, this festival culminates at the stunning Umaid Bhawan Palace. It is an international kite festival which draws spectators from across the globe. Kite makers and fliers had gathered here from countries such as UK, US, Belgium, South Africa, Germany and Malaysia. I had never seen such a colorful sky before. No wonder children eagerly wait for this festival which I could sense from their faces brimming with bright smiles. Children released colorful balloons in the sky and the Air Force helicopters released numerous beautiful kites. There was one more message that was being conveyed by the festival. The sky has no boundary, it is limitless. Similarly we as the human beings should embrace all without building the walls of cast, creed, color, social status, religion and nationality. We should broaden our thinking like the horizon of the sky. The International Kite festival of Jodhpur packed my day with entertainment, fun and adventure and the memory of the event will surely linger on and on.